Richard Clarke is the managing editor for Arsenal Media Group driving all the content for Arsenal fans around the world, we chat with him on ABC Grandstand. In a recent visit to Perth I sat down with Matthew Gepp to discuss what has worked for West Coast Eagles and what they have planned for 2014. What are key drivers for Arsenal Media group? Sounds of the game thanks to Daniel Pinne at the Melbourne Cup. Thanks for iTunes reviews in Australian iTunes and USA iTunes. 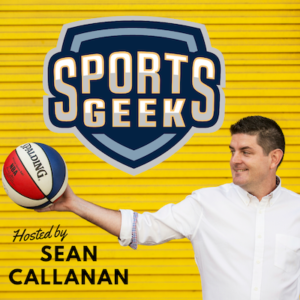 Are you following Sports Geek Podcast Pinterest board? This post is from from FC Augsburg, why don't more teams use puppets? Please tweet in your nominations for social media post of the week to @SportsGeek or @seancallanan. Subscribe to the Sports Geek Podcast in iTunes, if you liked the episode please leave a comment or rating.